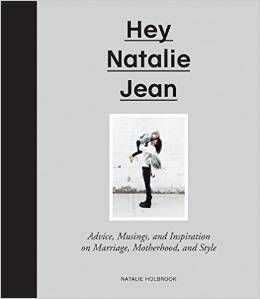 HEY NATALIE JEAN: This! Is! Jeopardy! The Holbs has developed an addiction to Jeopardy. He watches it daily, along with the rest of the Geritol community. Since The Holbs is better at such things as arm wrestling and thumb wars, we inevitably watch what he wants to watch, which these days means King of the Hill, and now also Jeopardy!, but I draw the line at Wheel of Fortune because as my Granny Goose used to say, Wheel of Fortune is for ninnies. While I cleaned up (my turn), The Holbstrebek yelled things intermittently, like, "Byzantine Empire!" "The Louvre!" and "Landscapes!" My brother, who has a birthday on Monday and will be 11, starteed calling Brandon "Bean Dip" the other day. Just randomly. He threw it out there one day while he was visiting for Christmas and it is the awesomest nickname for anybody EVER. 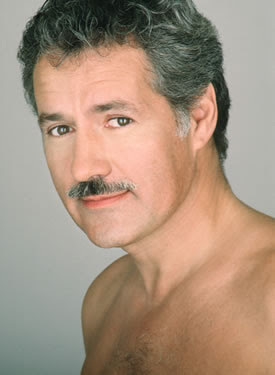 But what I want to know is this: What happened to Alex Trebek's mustache? He looks like a thumb. Maybe someone should tell him to grow it back.